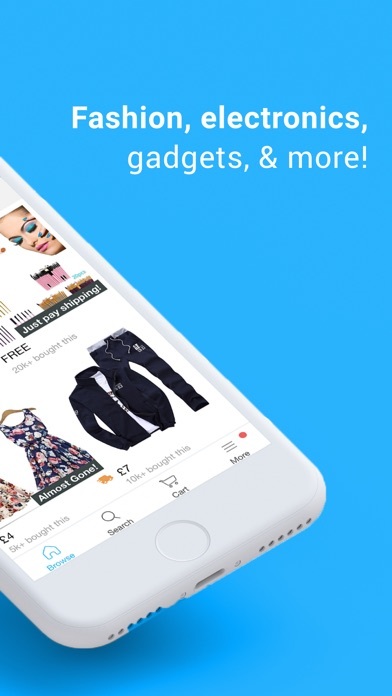 Shopping FREE No App Store 2019-04-24 ContextLogic Inc.
Shopping FREE No ContextLogic Inc.
Download Wish for free & browse through millions of affordable products. 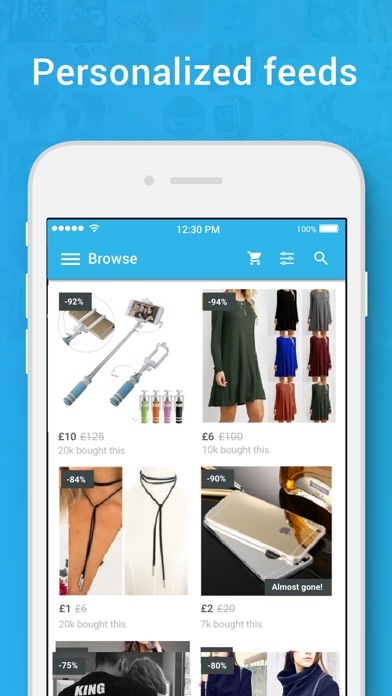 FEATURING: -Faster delivery in the EU with Wish Express -Secure payments using credit card, Paypal, or Apple Pay -English customer service -Easy refunds -Unique items -1,000s of sales ABOUT WISH Wish is the largest mobile-shopping app in the world. 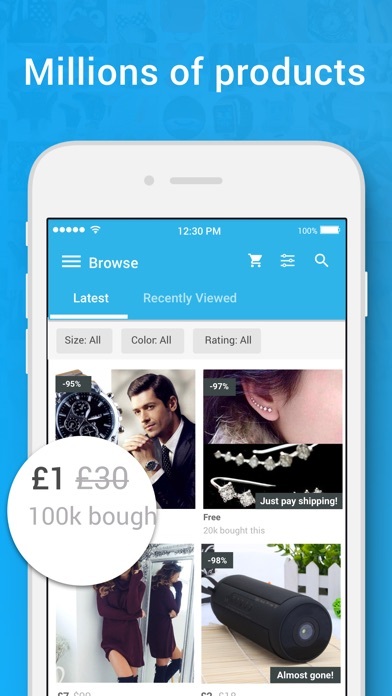 We have over 500 million users in the UK, Europe and across the globe. 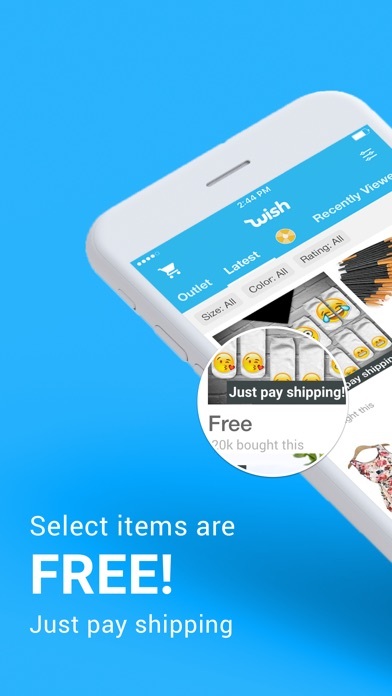 On Wish, you can add up discounts, discover unique products, and find any item for 60-90% less than in retail stores. SATISFIED BUYER GUARANTEE Worried about shipping & quality? 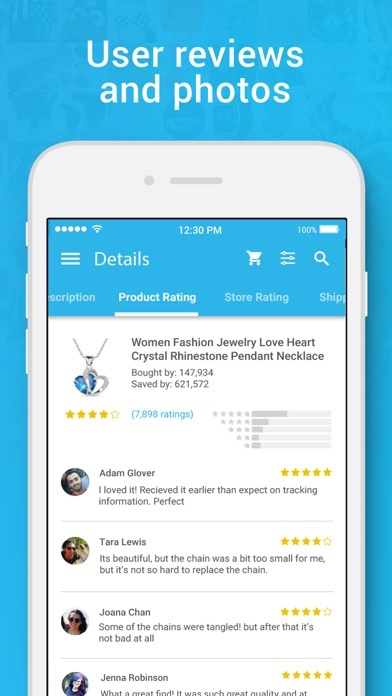 Our customer service is easy to contact and will help you get a refund if your order is not delivered or if the product does not correspond with the description. 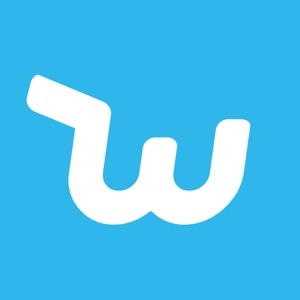 FASTER SHIPPING IN THE UK We now offer Wish Express items, which arrive within 10-14 days at your door. 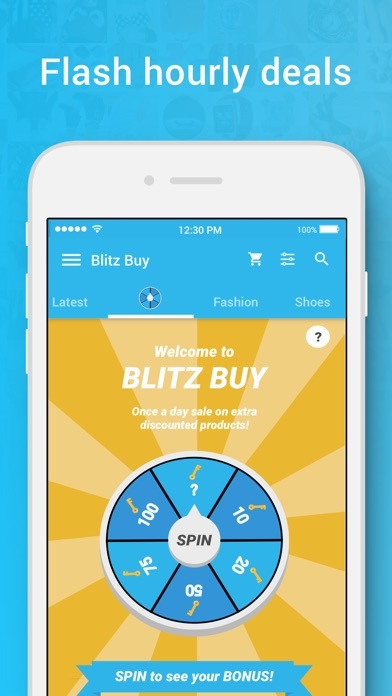 60-90% OFF MILLIONS OF PRODUCTS Find discounts on popular fashion, women’s clothing, men’s clothing, kids toys, baby items, shoes, electronics, telephone cases, kitchen tools, home goods, beauty, jewelry, watches, bags, accessories, and more.